Turkish Air Force conducted air strikes on Kurdish positions in northern Iraq according to Turkish Anadolu news agency. According to the sources four F-16s and two F-4 combat aircraft were involved in the operation. Turkish warplanes destroyed Kurdistan Worker's Party (PKK) shelters and warehouses in the Avasin-Basyan, Gare and Zap camps in northern Iraq. The positions were identified by drones prior to the attack. The situation in Turkey has deteriorated since July 20 when Daesh (Islamic State) carried out a terrorist attack in Suruc on the border with Syria, which killed 33 Kurdish people. 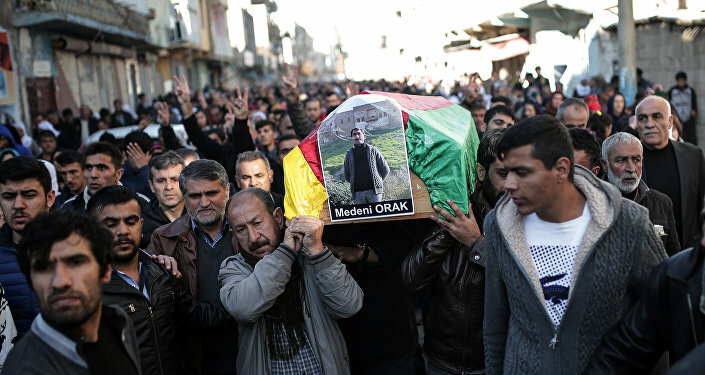 Later on policemen in the south-eastern provinces were killed and the responsibility was claimed by the PKK. Turkish Air Force fighters have been attacking the positions of the PKK in the southeastern provinces of Turkey and northern Iraq since July 24. In just five months, Turkish security forces have killed about 3100 PKK militants.